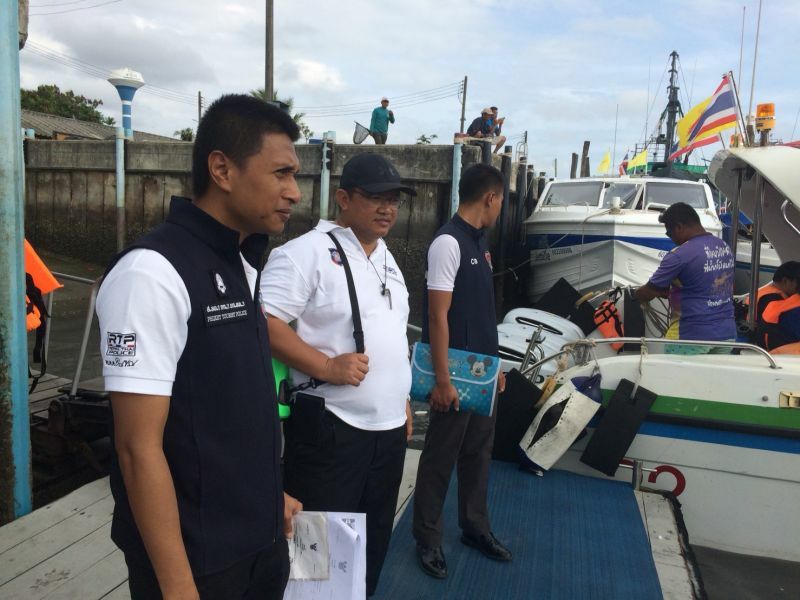 PHUKET: Five speedboat drivers were arrested and charged for violating marine transport laws by Phuket Tourist Police yesterday (Jan 24) at Rassada canal, as police continue their random inspections on boat safety following two speedboat accidents last week. 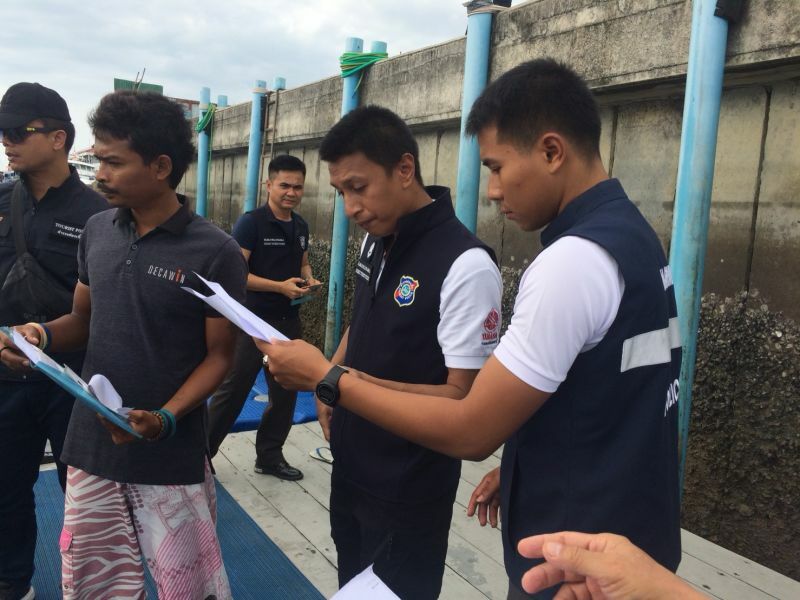 “All five were charged for violating marine transport laws,” Tourist Police Deputy inspector Capt Ekkachai Siri confirmed to The Phuket News today (Jan 25). “We found two men at the Rassada canal, near Rassada Pier. They were charged, then they swapped their duties with other boat drivers of their tour companies. 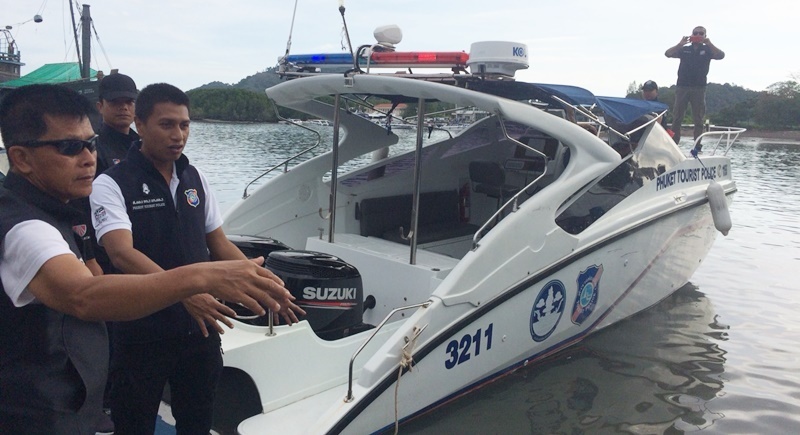 “Surachai Karaket, 37, driving the speedboat Kan Picha was fined B2,000 due to an expired boat driver’s licence. “Naret Longrak, 49, on the speedboat Wor Marina was fined B10,000 due to an expired boat registration licence. “Rachen Turan, 23, the driver of Chao Sao Noi, Saharat Joojan, 22, driver of Chonlatha 888 and Nassaree Samanmuen, 49, who is the driver of Juthamat 99 have all never been issued boat operators’ licences,” said Capt Ekkachai. “They were sent to Phuket City Police Station to face a fine from B1,000 up to B10,000, or up to six months in jail, or both,” he added. “The rest of the penalties are for the court to decide,” he said. “Next, we are making a document of these cases. This weekend I will collect all previous information and put it together with this case. Then all information and evidence required will be presented to the Tourism Business Licences office,” Capt Ekkachai added. Like I said, if you want to make incorrect defamatory statements, that is your problem. Just read the act and you see what evidence is required, that way you don't sound so stupid. No need to read the Act. Seeing the worried faces of Governor and other officials during their hospital visits ( Other PN article) speak more than Acts. A boat owner employing untrained, unlicensed boat crew ( 1 'Captain' was even a illegal indonesian) is responsible for what happens on board his boats. Has nothing to do with defamatory thinking, just common sense, also Act wise. Licensed Owners/Employers employing and paying  unlicensed staff were the laws demand licenses are violating the laws. Their boats and their crews are their responsibility. There was nothing written about registration, just about boat safety, and violation of marine transport laws. Read the article...\"Then all information and evidence required will be presented to the Tourism Business Licences office\" Somewhat premature to suggest the registered owner of a vessel has committed any offences. Registration does not equate with safety. Instead to focus of few injured and dead tourists with the tour boat operators, it would be better as well to regulate all foreigners renting motorcycles and cars from "Moto & Car Rental" businesses which is more devastating in term of deaths and crippled tourists. Of course companies with not licensed staff should have their license revoked. They violate the thai laws! That is a crime. Why the use of the word ..'maybe'... ? Many tourists die or get wounded, sometimes with scares for the rest of their lifes. Also charge the companies who employ Captains without a Licence. They should get a very heavy fines and maybe their Licence revoked.